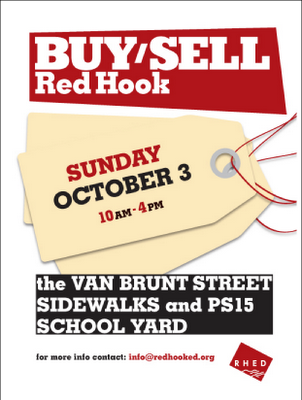 This SUNDAY, OCTOBER 3, Red Hook neighbors are turning out for a COMMUNITY DAY of Van Brunt Sidewalk Sales / PS 15 Flea Market & Community Activities. 11:00am - DRAWING TOGETHER: Families and people of all ages can participate in a community drawing project guided by Kentler's K.I.D.S. Art Education teaching artist, Meghan Keane. 1-2pm - Creative Movement Sample Classes. Children ages 3-12 can leap, gallop, spin and laugh together in 10-minute sample creative movement classes offered throughout the hour by Shannon Hummel, Artistic Director of Red Hook's own Cora School for Dance. Are there vending fees? 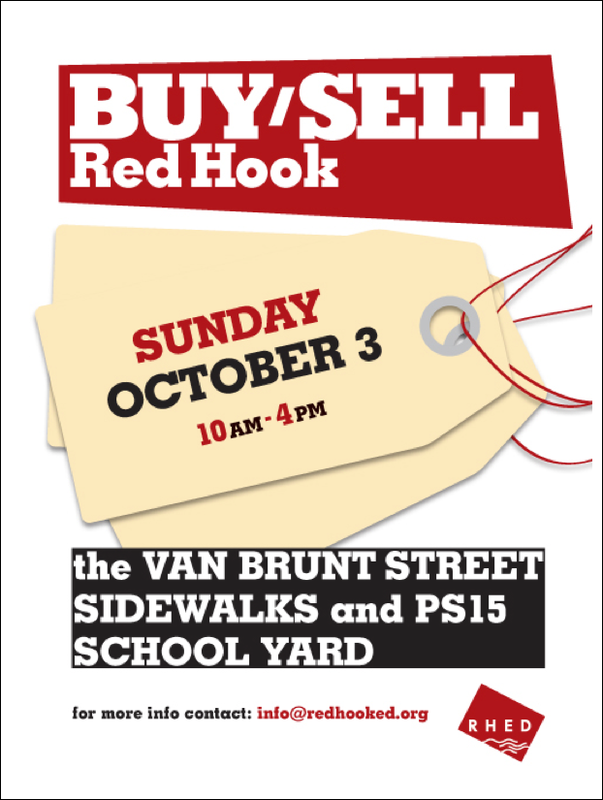 There is NO FEE to sell goods either along local sidewalks or in the PS 15 school yard - RHED has just received funding to cover the school yard permit cost! 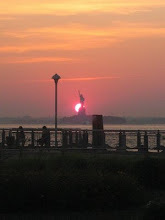 Can I set up along Van Brunt? 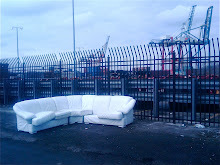 You can set up in front of your own residence or business. If you don't own or rent property, get permission from those who do before staking out a place. Can I set up in the PS 15 school yard? Everyone is welcome. You'll be joined by various neighbors and community groups, including Falconworks - who will have a mega sale/fundraiser (with a wild variety of goods donated by supporters); several families with children attending the school (sounds like a good place for buying/selling kid's things); AND fun activities provided by several of RH's stellar organizations.